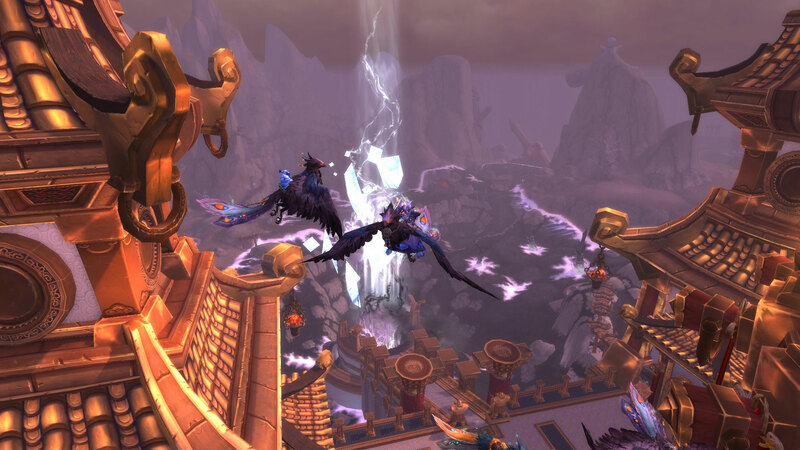 When the servers went down early Tuesday morning, it was effectively the end of Mists of Pandaria. 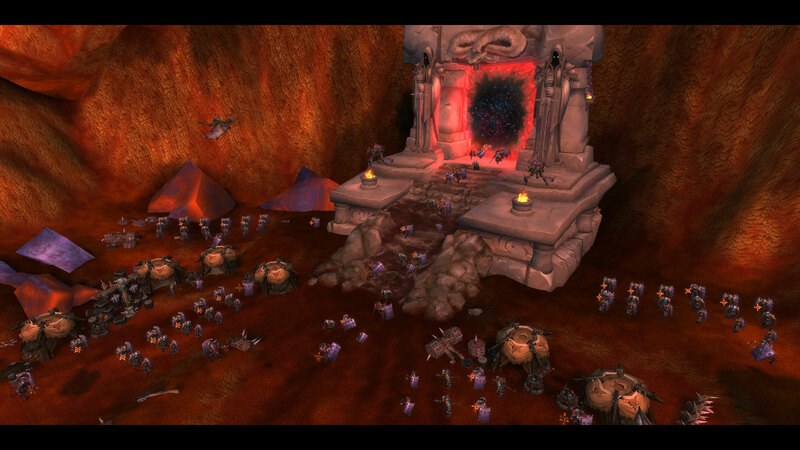 When they come back online, we’ll be starting Warlords of Draenor even if the expansion hasn’t actually released. 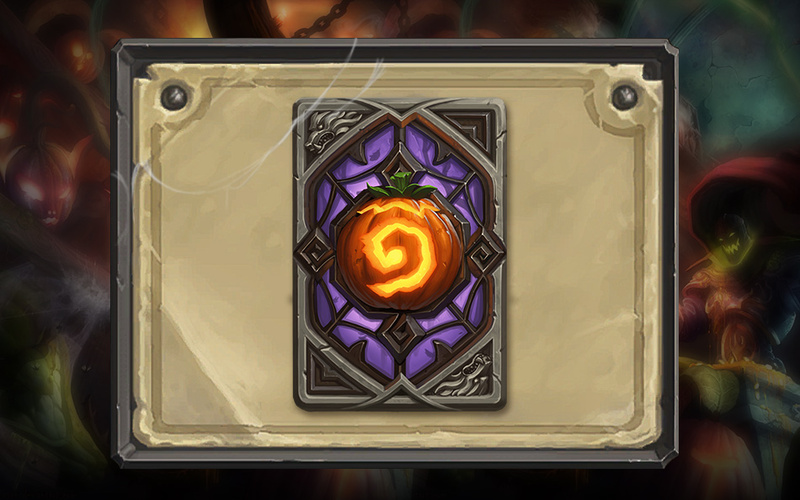 I enjoyed this expansion. Unlike some people, I had no problem with the setting. 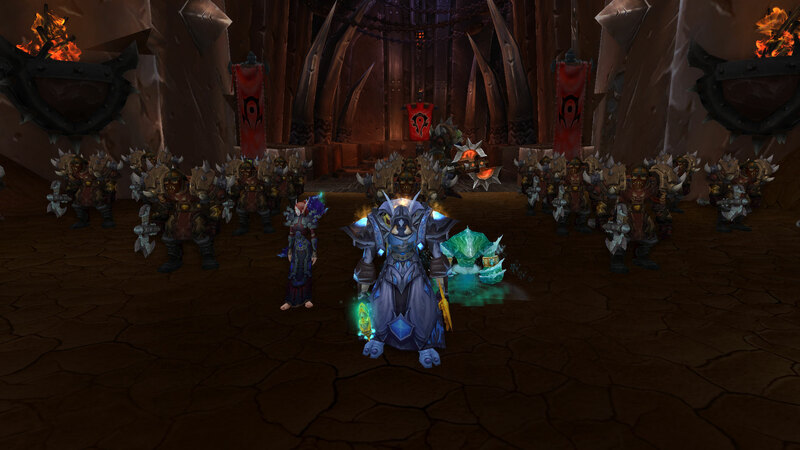 It was beautiful, the story of the sha was original, and I liked both the Alliance and the Horde’s character development. Yeah, it would have been better if we didn’t know Garrosh was going to be the end boss, and the expansion had a couple problems such as too many dailies and the feeling that LFR and flex were both requires for normal mode raiders. As a healer, I found scenarios boring. However, I discovered Proving Grounds and Challenge Mode dungeons too late in the expansion. Of course I knew they existed, but I wish I cared about them earlier. I didn’t even touch the Brawler’s Guild unfortunately. I’m obviously excited for Warlords of Draenor, but I’ll admit, I’m exhausted just thinking about it. I keep busy, and as much as I do love raiding, I’m not looking forward to the time sink. 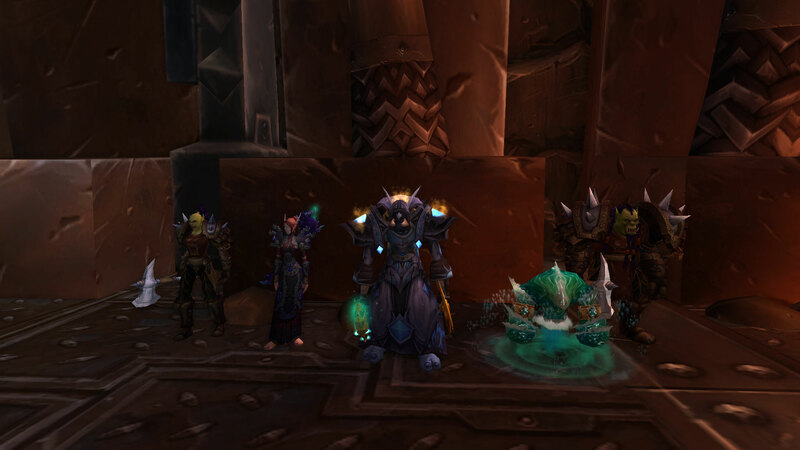 On Sunday, I finished earning silvers in the Challenge Mode dungeons. 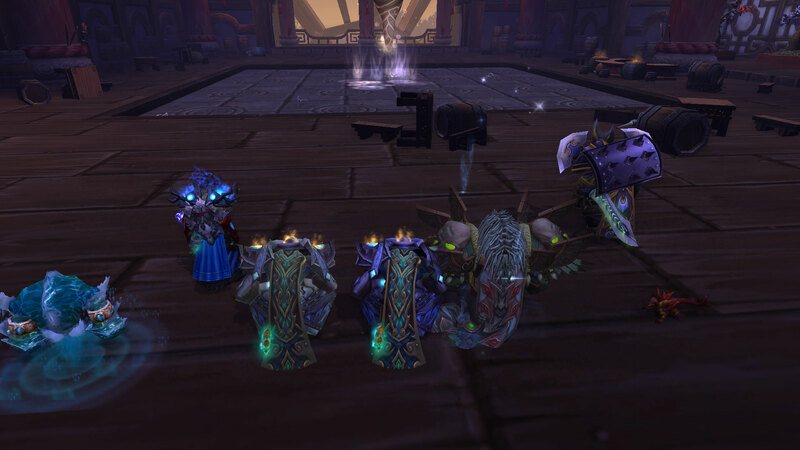 Monday night I spent my currencies, and then Mooglegem and I said our goodbyes to the Kor’kron. I know they were the bad guys this expansion, but they weren’t always that way. They were once the elite soldiers and guards, and this blog is named after them. I’m kind of sad to see them go entirely. 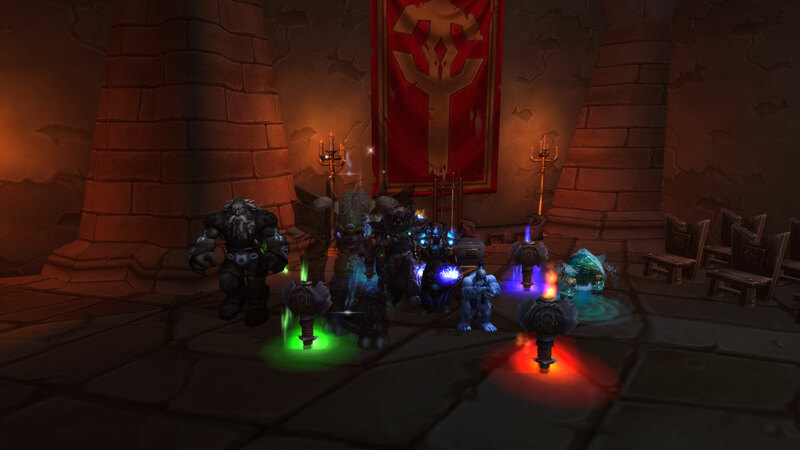 Here we are with a couple more Kor’kron. 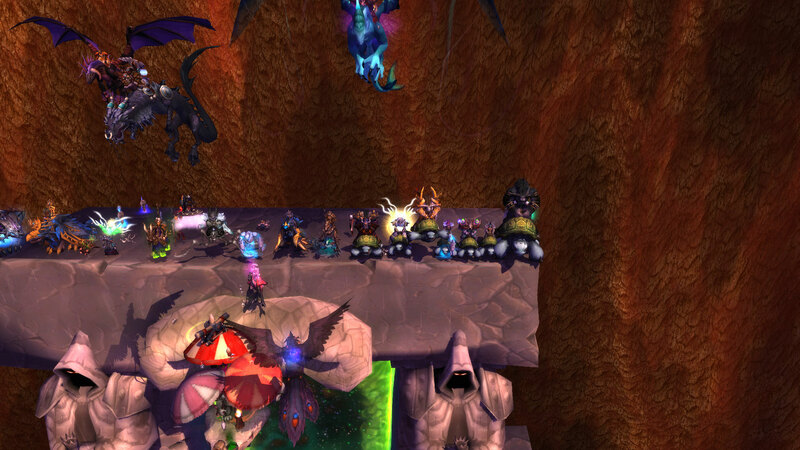 And finally, a ton of Kor’kron! Woo! I’m not sure why I didn’t think of this spot immediately. 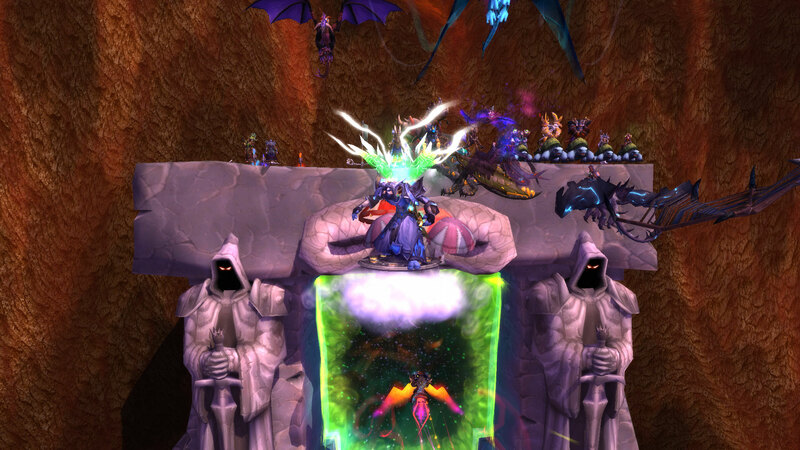 Next I decided to visit the Dark Portal while it was still green. Obviously I was not alone in this endeavor. Lots of other Horde were here along with a few Alliance as well. Why the one or two Alliance members that came decided to try to engage in PVP, I’ll never know. What’s that? A line of Sea Turtles, jumping into their shells? Count me in! I know it seems silly, but this type of thing is one of the best aspects of MMOs. This isn’t part of the planned content. 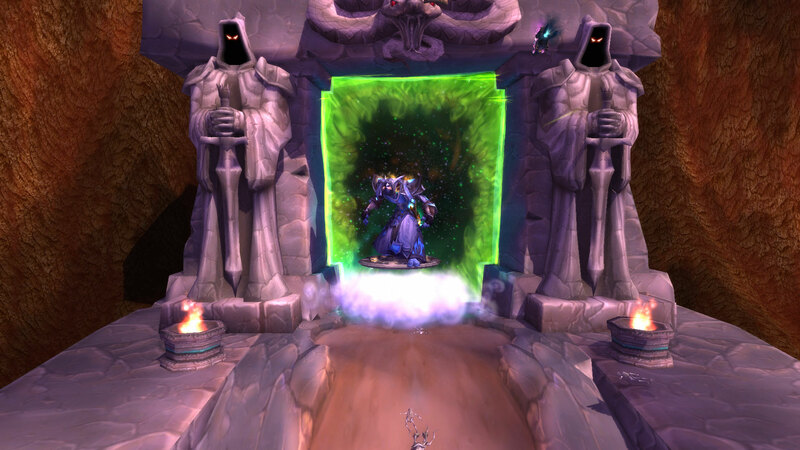 Visiting the Dark Portal after the patch might be, and coming here to quest is, sure. But everyone coming together to chat, emote, use fun items, and celebrate might be expected but it was not planned content. It was just a bunch of players having fun. I love it. 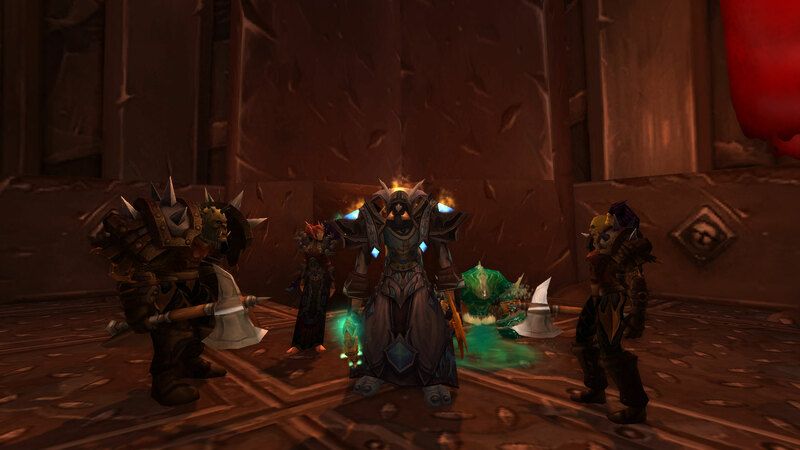 When the server’s come back online, these same players will be ready to stop the Iron Horde!